Facebook, Twitter, and YouTube take the #1, #2, and #3 spots respectively that small businesses have cited via eMarketer to be beneficial to their business. 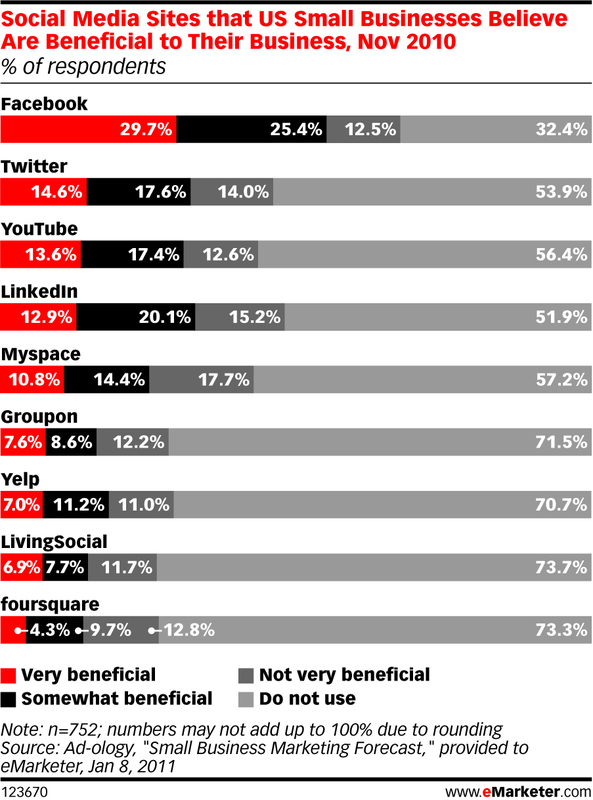 It is interesting to note that MySpace came in at #4 as I would think Groupon would be in the #4 spot. ← What are People Doing on Their Mobile Phones?